With so many choices, it was challenging to choose just a few this year. We did our best and here are our favorites. There were a lot of golf carts cruising around, ferrying folks from one ‘cart-taxi’ stop to another at the show. 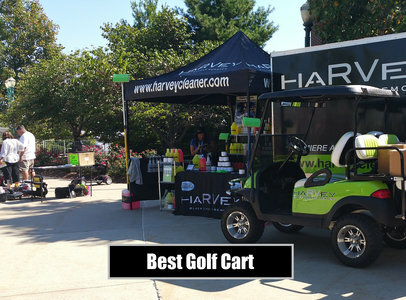 The best looking Golf Cart was at the HaRVey Cleaner tent. It wasn’t one of the taxi carts but it was all decked out, trimmed up, and really an attention getter. 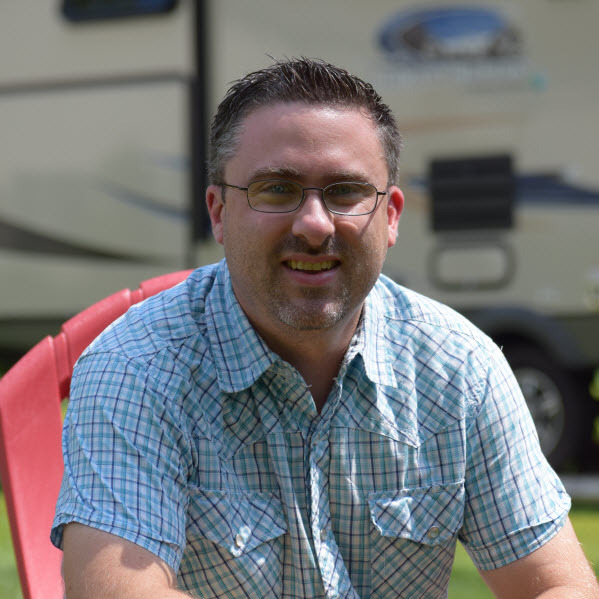 HaRVey Cleaner sells cleaning solutions and specializes in Boats and RVs. 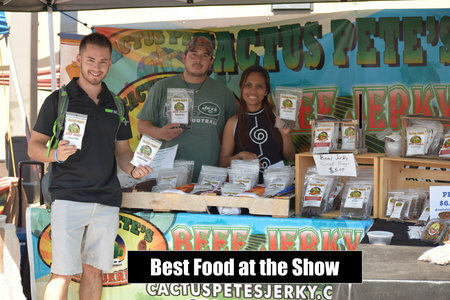 There was a lot of great food at the show, but we had to choose one, so we chose Cactus Pete’s Beef Jerky as best food a the show. A fun, energizing snack in the middle of all the organized chaos of the show. Brian Gerri known as “Cactus Pete” Cactus Pete’s Beef Jerky will be a part of National Geographic Channel’s series: “Crowd Control: Money” By Daniel Pink. You could locate where the Hershey show was from miles around due to the many blimps soaring around the venue. Quite a few RV manufacturers had a mini-blimp high above their section of the show letting you know where to find them. 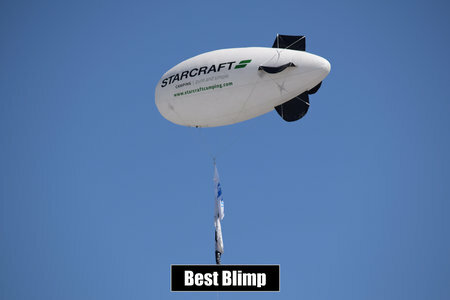 The Starcraft blimp definitely had the most character as it welcomed guests near the main entry gate. This was the easiest pick of the show and it was easy to see why. 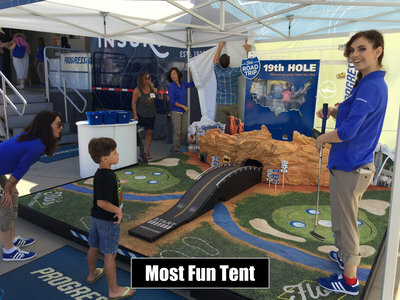 Who doesn’t love a good game of mini-golf. It was a nice break along the way and the tent attendants were super friendly with folks and encouraging everyone to have a great time. I’ms sure they will be there again next so year so keep an eye out for the Progressive tent. Believe it or not we saw a few folks walking around the show dressed up a bit in costume, mostly like clowns. 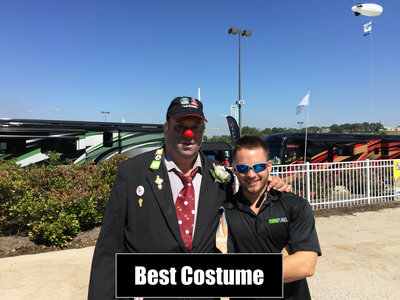 Not sure if this was part of the show or folks just like goofing around a bit, but this guy had the best clown costume, I don’t honestly know how he pulled this off all day with it being so hot out. 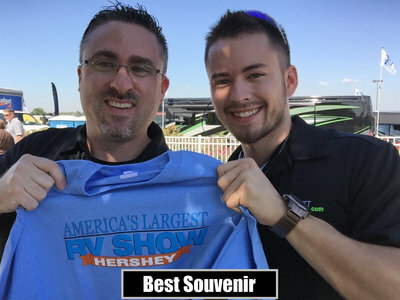 Out of all the souvenirs at the show, we chose this “Americas Largest” Hershey RV Show T Shirt. A close runner up would be the plentiful reusable fabric grocery type bags that numerous vendors were handing out. If you planned it right, you could stock up on them next year! 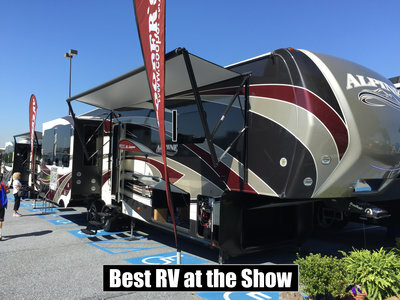 What a great week with so many wonderful guests, vendors, and of course RVs to look at.